Microsoft has fused a number of its new data processing technologies into a single package designed to help organizations get more value from their growing piles of data. 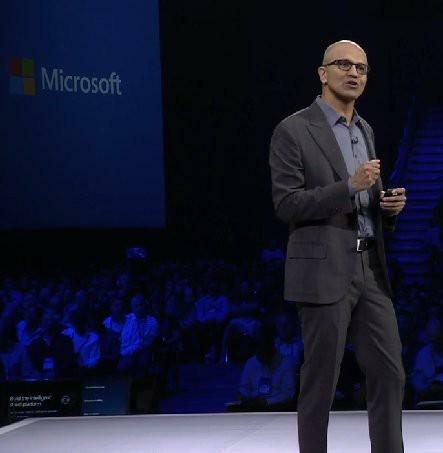 The new suite, called Cortana Analytics, is designed to "democratise Big Data," said Microsoft CEO Satya Nadella, during the opening keynote of the company's World Wide Partner Conference in Orlando, Florida. The package is designed to "allow any business to transform itself through the power of data," Nadella said. Microsoft has worked to minimize the expertise needed to deploy Cortana Analytics, thereby potentially broadening the scope of where such technologies can be used. At first glance, Cortana Analytics appears to have a similar goal as IBM's Watson Analytics, another offering that integrates advanced analytics technologies to make them easily usable in a wide variety of industries. Cortana Analytics pulls together what are now different aspects of enterprise IT data processing, joining the structured data of databases with the unstructured data found in log files and in live data streams from Internet of Things devices. It pulls in Microsoft's analysis technologies such as Power BI for organizing data into visually understandable formats, and Microsoft ML (Machine Learning) for predicting future events based on current data sets. It also provides a voice interface to access all these capabilities through the company's Cortana voice-driven personal digital assistant software. A business could use the software to detect customer churn, highlighting those customers who are showing signs of potentially decamping to a competitor's offering. The Cortana Analytics Suite could also be used to schedule preventative maintenance of equipment, estimating the optimal times to service machines. With the Cortana interface, a manager wouldn't even need to formulate a query to answer a question, but rather just ask the system itself to do the work. "You can take Cortana Analytics and build fantastic solutions for your customers," said Scott Guthrie, Microsoft executive vice president of the cloud and enterprise groups, later in the opening day keynote, speaking to the Microsoft partners in attendance. One early user of the software has been the Dartmouth-Hitchcock Health System, a U.S. hospital. It is deploying Microsoft analysis technologies to devise superior treatment plans based on both the individual patient's history as well as data from many large-scale medical studies relevant to the patient's condition. Microsoft plans to release the Cortana Analytics Suite later in the year, on a monthly subscription payment plan. It will offer a number of preconfigured packages to address specific tasks, such as fraud detection.